✿ Stylish and Adorable pet clothes for your sweetie, make your pet more attractive. ✿ Soft polar fleece material, keep your puppy warm and comfortable. 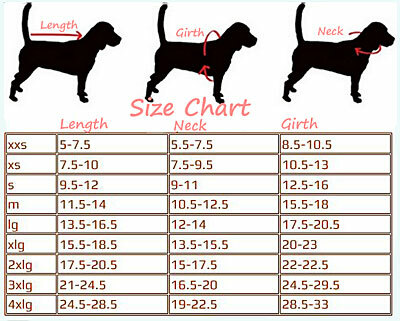 ✿ Attention that your baby pet usually wears a size S doesn't mean all size S will fit him/her. Please check the size chart in ' Product descriptiose.